Digital SLR cameras are among the cream of the crop. Image and video quality are outstanding, features continue to advance year after year, and they have the most varied selection of lenses. But the market is large, ranging from full frame (professional cameras with massive sensors) to a host of mid-range and budget models. Below we break down the top DSLRs on the market in 2018, including leading options from brands like Canon, Nikon, Pentax, and Sony. For more background information, see our DSLR comparison table and buying advice below the picks. What we like: Exceptional image and video quality. What we don’t: Limited availability. For years, Canon led in full-frame DSLR innovation while Nikon laid in wait. Well, the wait was worth it. The D850 is an absolute powerhouse DSLR and one of the top cameras on the market of any type. Compared to the Canon 5D Mark IV below, the D850 wins out in most categories that matter: it has 45.7 megapixels of resolution vs. 30.4 on the 5D Mark IV, superior autofocus, faster buffering speeds, a higher resolution LCD screen, and significantly longer battery life. The 5D Mark IV weighs a little less and has built-in GPS, but given that both cameras are similar in price, we favor the D850 in a big way. Understandably, the Nikon D850 has been a tough camera to get. It’s currently backordered at just about every major retailer, many of which aren’t offering specific dates of shipment. 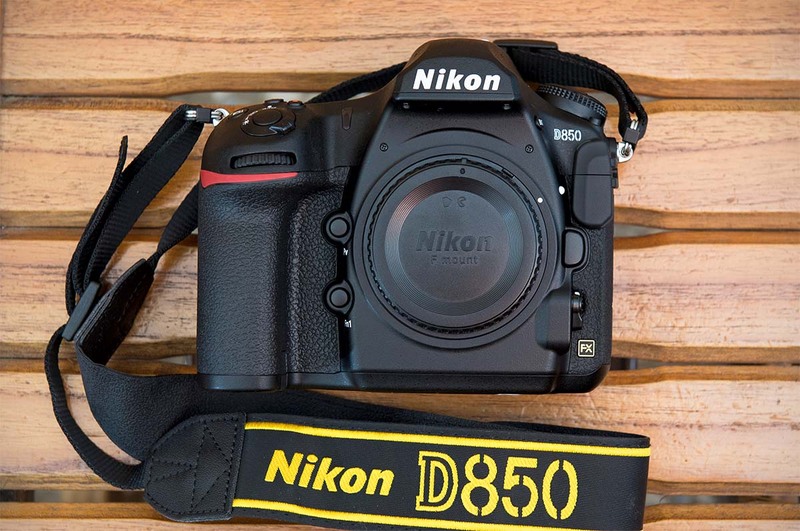 Nikon even admitted in an earlier press release that demand for the D850 far exceeded expectations, which has led to the shortage. In the meantime, the older Nikon D810 currently is selling for just under $2,800, but that’s not enough of a discount to get us very excited. What we like: 4K video and a host of other modern features. What we don’t: The D850 above is so impressive that it overshadows the 5D Mark IV. Canon’s 5D Mark IV was at the top of this list for much of last year, until the release of the Nikon D850 that is. When you put the two head to head, it’s flat out hard to argue that the Canon is better. It has lower resolution, inferior autofocus (although it does have dual pixel), and doesn’t offer much in the way of additional features or functionality. Having said that, the 5D Mark IV is a quality camera and all that most Canon professionals and enthusiasts will need. If you already own a bunch of L series glass, sticking with Canon is a fine choice. And as we’ve come to expect, this is an arms race and Canon likely will respond in kind. Who should buy the 5D Mark IV? It’s Canon’s top full-frame DSLR not built specifically for action (that would be the 1DX Mark II). The 5DS R below is a nice choice for professional landscape and portrait photographers who can afford super expensive lenses, but most people won’t be able to take full advantage of the sensor. And the 6D series Mark II is great from a value perspective but doesn’t offer the resolution or features of the 5D Mark IV. For these reasons, it’s the top overall Canon on this list. What we like: One of the best values on this list. What we don’t: Video shooters may want to spend up for the 5D series. Here’s a fun one: if Canon’s 5D series above is too rich for your blood, the 6D series offers a reasonable entry point into the full-frame camera market. 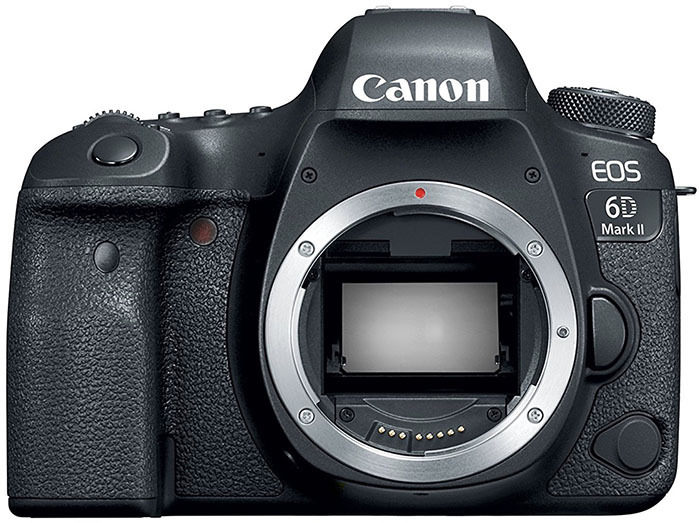 Released in 2017, the 6D Mark II offers notable improvements over its predecessor while still staying well below the $2,000 price threshold. Compared to the older model, you get a bump in resolution to 26.2 megapixels, a more advanced autofocus system, faster shooting, and touchscreen functionality on the rear LCD. All are solid improvements and the 6D Mark II is a really nice value, particularly for still photography (the 5D series is much better for video). The Canon 6D Mark II currently is our favorite “budget” full-frame camera, beating out the older Nikon D750 below. 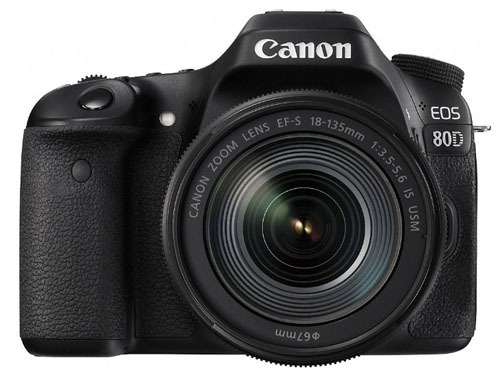 Both are viable options with similar resolutions (the 6D Mark II is slightly better with 2 more megapixels) and frame rates (6.5 fps), but the Canon feels more modern with its touchscreen, Bluetooth and NFC connectivity, and newer processor. And we still have a soft spot for the original Canon 6D below, which is selling for a low $1,000 with the release of the newer model. What we like: A Nikon full-frame camera for less than $1,800. 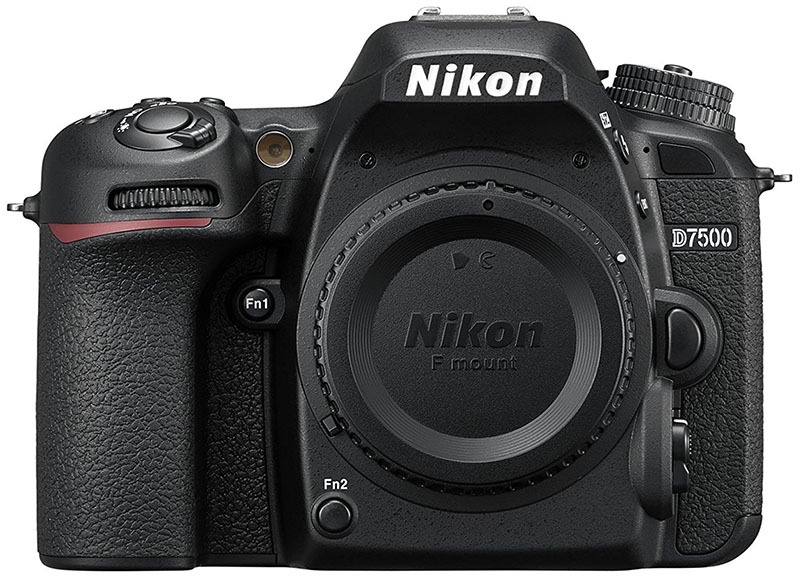 What we don’t: With a 2014 release date, the D750 is getting a little long in the tooth. Nikon didn’t exactly get off to a strong start with the sensor issues of the old D610 and D600, but they got it right with the D750. 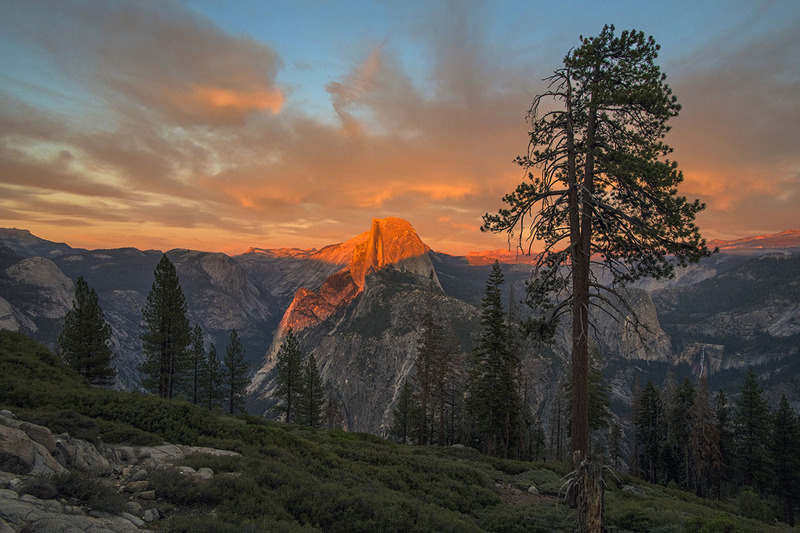 In many ways, the D750 mirrors the image quality and functionality of the D810 only with fewer megapixels. You get the same EXPEED 4 image processor, image sensor dimensions, and 1080p video speeds. The D750 has an optical low pass filter (the D810 does not), but it also boasts a faster frame rate at 6 fps. 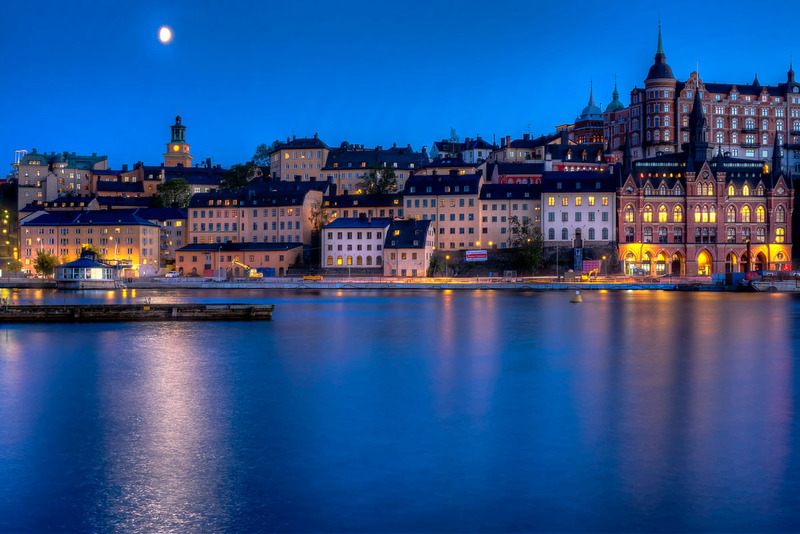 Of course, the resolution is lower at 24.3 megapixels, but this is more than enough for many photographers and uses. Keep in mind that the D750 was released all the way back in 2014 and is due for an update. Rumors are circulating about a potential D760 (or whatever the new model might be called), which would make sense given the new D850 above. But nothing concrete has been announced, leaving Nikon fans in wait. Regardless, it’s quite nice that you can access Nikon’s full-frame lineup at such a reasonable price, and the D750 is a nice budget alternative to the D850. What we like: A very well-rounded DSLR at a good price. What we don’t: Shooting speed and autofocus can’t match the 7D Mark II below. Dating all the way back to the Canon 10D in the early 2000s (that camera had 6.3 megapixels for reference), this series has been a mainstay in Canon’s lineup. Essentially, if you’re in the market for a semi-pro DSLR that offers more bells and whistles than the entry-level Rebel series, the 80D is an excellent choice. Autofocus and shooting speed get a boost, the 80D is weather sealed, and it’s a fun camera to play with in terms of manual controls. At around $1,000, those who take their photography seriously will appreciate what the 80D has to offer. Among enthusiast DSLRs, Canon shook things up with the 7D Mark II. It’s true that the 7D Mark II is superior from a technical standpoint, with better autofocus including a joystick that allows you to pick your desired focus area, along with faster shooting speeds at 10 frames per second instead of 7. However, the Canon 80D offers more megapixels, a better LCD screen, is lighter, and cheaper. Unless you plan on shooting action photography—those folks need and use the extra speed—we think the 80D is a better value. It does everything most photographers need at a lower price point. What we don’t: Limited feature set and the kit lens is mediocre. The Nikon D3300 may feel out of place among a bunch of premium models, but at less than $400 with a kit lens, it’s a tremendous value. For first-time DSLR owners, the camera is easy to use, compact and lightweight at just over 15 ounces, and the image quality will far surpass any point-and-shoot or smartphone. It’s true that the 18-55mm kit lens is limited and you may want to add a specialty prime or zoom down the road, but the low price means you have room to run with the D3300. What do you sacrifice by going with a budget digital SLR? Compared to other crop sensor cameras on this list, the Nikon D3300 is more basic in terms of autofocus, low light performance, and features. You don’t get built-in Wi-Fi, the rear LCD isn’t a touchscreen nor does not it swivel, and the camera is not weather sealed, which is a nice touch for travel and outdoor photography (you have to jump all the way up to the D7000 series for that). And it’s worth noting that Nikon has released the D3400, which is $100 more expensive and comes with Bluetooth connectivity and better battery life. The image quality is nearly identical, however, and we prefer to save with the older model while supplies last. What we like: The highest resolution DSLR on this list. What we don’t: Lack of video features and high price. For landscape professionals and others who demand the highest possible resolution, the Canon 5DS R is a very intriguing full-frame DSLR. Most notably, the camera boasts a whopping 50.6 megapixels, which surpasses the high-end Canon 5D Mark IV above by an impressive 20.2 megapixels. For those who prioritize image quality above all else, it’s the highest resolution digital SLR on the market in 2018. Why isn’t the Canon 5DS R ranked higher? The camera bucks the hybrid trend and is designed primarily for still photography, so it’s lacking video-centric features like headphone sockets and an HDMI output. In addition, the megapixel count was more of a standout when the camera was released in 2015, but the current competition is stiff from the Nikon D850 (45.7 megapixels) and mirrorless Sony a7R III (42.4 megapixels). 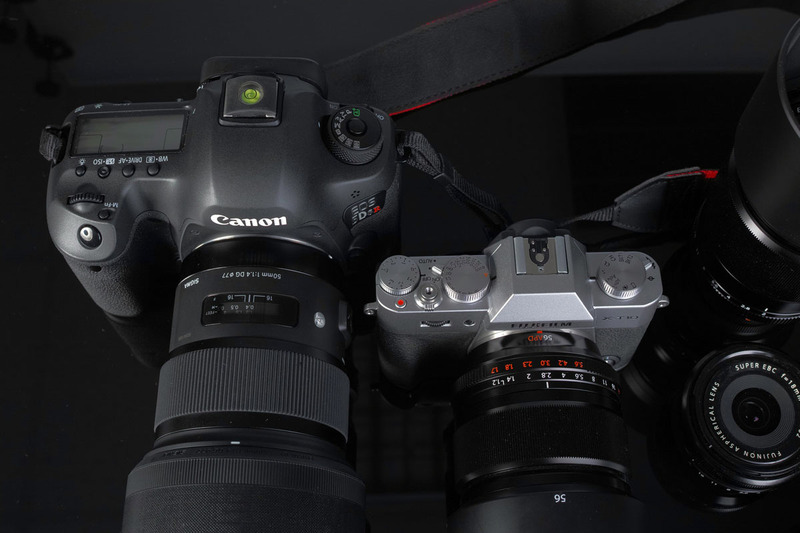 Both of those DSLRs are more well-rounded overall, as is the 5D Mark IV. But for serious Canon still shooters who want the best, the 5DS R delivers. What we like: Blazing fast speed and 4K video. What we don’t: Very pricey for a crop sensor camera. We neglected to include the ultra-pricey, full-frame Nikon D5 on this list, which costs around $6,500 and is designed specifically for professional action shooters. 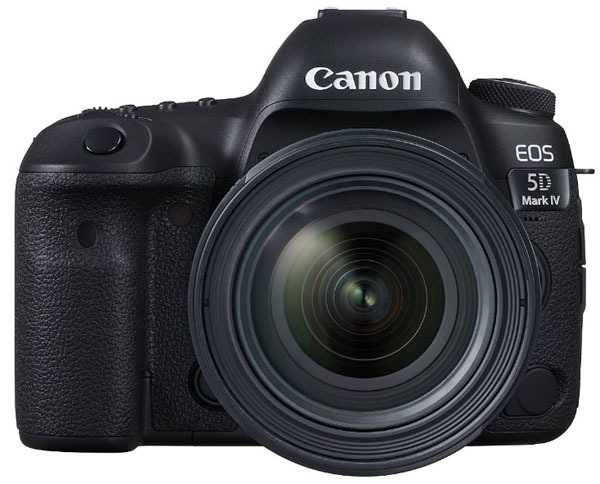 However, you can get similar speed and functionality in a much less expensive package with the new D500. This is Nikon’s fastest DX camera ever and shoots a whopping 10 frames per second, making it an intriguing option for sports and wildlife. The D500 even has the same advanced autofocus as the full-frame Nikon D5 and shoots 4K video (Nikon’s first crop sensor camera to do so). The major downside with the D500 is the price: at around $1,900 for the camera body, you’re spending more than the full-frame Nikon D750 and even the Canon 6D Mark II (we would take either over the D500 because of the full-frame image sensors). Unless action photography is your highest priority or you already have a collection of DX lenses, we give the nod to those cameras above. But the Nikon D500 fills a niche for action shooters who don’t mind the crop sensor. What we like: Impressive resolution and weather sealing for the price. What we don’t: Limited lens options and subpar video. For landscape and still photographers looking for a cheaper alternative to full-frame DSLRs from Canon and Nikon, the K-1 comes with few compromises. Ricoh-owned Pentax has long been known for its crop-frame cameras, which are strong on paper and competitively priced, and the trend continues with the full-frame K-1. Released last year, this DSLR has 36.4 megapixels of resolution (just a hair shy of the Nikon D810), built-in image stabilization, and a sturdy aluminum alloy body that is sealed as well as any model on this list. The biggest concern when choosing the K-1 over the bigger brands is the quality of available lenses. Pentax K mount (or FA) lenses are flat out limited for the time being. The classic 24-70mm f/2.8 is available in a K mount and sold in a kit, although that lens and a couple others are essentially rebranded Tamron lenses. In addition, video quality and autofocus on the K-1 certainly aren’t up to the standards of other new full-frame DSLRs. But for still photographers looking for value in the full-frame market, we love the K-1. What we like: Canon’s fastest crop sensor DSLR at 10 fps. Good news for those interested in sports and action photography: you don’t have to spend over $5,000 for the full-frame Canon 1DX Mark II. Instead, the crop sensor 7D Mark II shoots a relatively fast 10 frames per second and can get the job done. 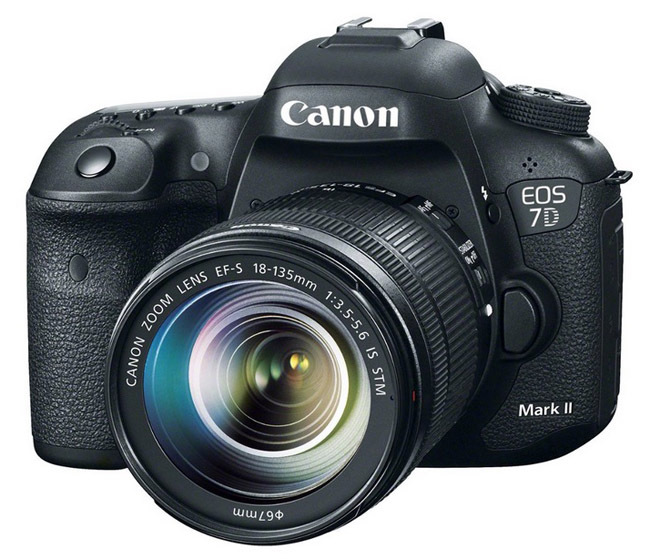 Originally released in 2014, many in the Canon community are eagerly awaiting a successor, but until then the 7D Mark II remains the leading option. The camera is fast, packed with features, weather sealed, and can focus with the best of them. Why isn’t the Canon 7D Mark II higher on this list? Simply put, it only makes sense for serious action shooters and we think the Canon 80D above is a better value overall. The real competition comes from across the aisle with the Nikon D500 above: both are enthusiast DSLRs designed for action photography. In a head-to-head matchup, the D500 wins out because it shoots 4K video, has a more advanced autofocus (the 7D Mark II still is excellent in this regard), and comes in slightly lighter despite the flip-out screen. The 7D Mark II is considerably cheaper, however, and if you prefer Canon functionality or already own lenses, it’s still a nice choice. What we like: Weather sealing and 4K video. What we don’t: Fewer megapixels than the older D7200. For fans of Nikon who don’t want to spend up for the D500, the D7500 offers plenty of features and functionality at a good price point. Compared to the D5500 below, you get a more advanced autofocus system, faster shooting, better low light sensitivity, and weather sealing (that’s a really nice feature for outdoor and travel photographers). It’s true that the D7500 actually has fewer megapixels than the older D7200 (20.9 vs. 24.2), but the reason is perfectly understandable. The D7500 uses the same image sensor as the high-end D500, which means faster shooting speeds at 8 frames per second and 4K video. In many ways, the D7500 is a direct competitor to the popular Canon 80D above. The latter gets you a slight bump in megapixels at 24.6, but the Nikon shoots faster, has superior low light performance, weighs less, and as mentioned above, shoots 4K video. Both are outstanding crop sensor DSLRs and the choice often comes down to brand preference and what lenses you currently own. What we don’t: Pricier than the D5500 below. Canon’s Rebel series has become synonymous with entry-level DSLRs, and with all the success, they keep rolling out new models without the need for major tweaks. The new Canon Rebel T7i remains at 24.2 megapixels but adds a whole host of handy upgrades. Compared to the older T6i, you get superior autofocus, faster shooting at 6 fps, longer battery life, better low light performance, and built-in Bluetooth, among other features. For first-time DSLR buyers and those looking to replace an older model, this should be all the camera you need. The biggest downside of the Canon Rebel T7i is cost. $850 is a lot to spend on an entry-level camera, and it’s nearly double the trimmed-down Rebel T6 below, for example. 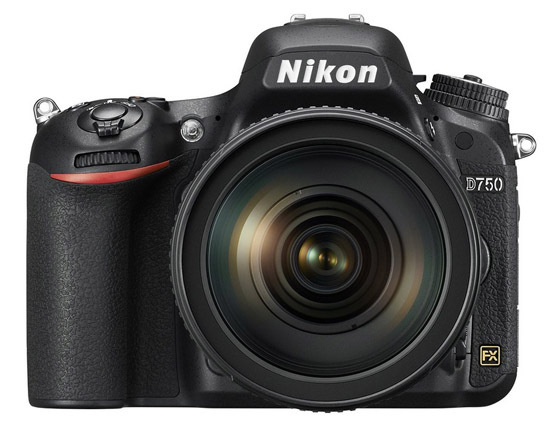 At the same time, the T7i is popular for good reason. It’s easy to use, shoots great video, and is packed with features that you just won’t find on cheaper models. Pentax doesn’t have the brand recognition of Canon or Nikon, but its DSLRs are competitive pretty much across the board. In addition to the weather sealing that Pentax is known for (you’ll have to spend considerably more to get weather sealing from other companies) the K-70 is a very solid digital SLR. You get in-body image stabilization, which the Canon T6i and Nikon D5500 both lack, along with impressive low light performance and customizable twin dials that allow for easy manual operation. What are the downsides of the K-70? First and foremost, the lens offerings from Pentax are much more limited that Canon or Nikon. The weather sealing also adds weight to the camera making it relatively heavy, and you don’t get touchscreen functionality (the T6i and D5500 both have touchscreens). All in all, we think it’s a very close call between the leading mid-range cameras and Pentax is right in the mix. 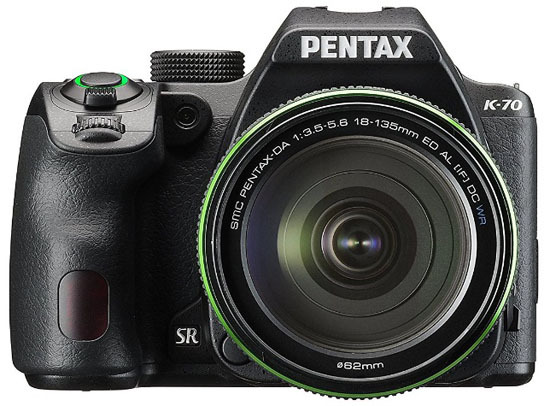 For an even cheaper weather-sealed DSLR, see the Pentax KS-2. What we like: More features than the D3000 series. What we don’t: The Canon Rebel T7i shoots better video. Moving down from the semi-pro category to entry level are the biggest sellers on the market. 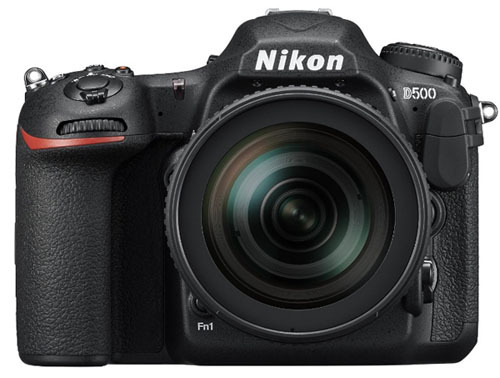 Our favorite entry-level DSLR is the Nikon D5500, which has been called an “advanced beginner” model and rightfully so. Compared to true entry-level DSLRs like the Nikon D3400 below, you get a number of nice features like a tilting touchscreen for navigation, built-in Wi-Fi, and perhaps most importantly, better autofocus. We like both cameras and there aren’t major differences in terms of image quality, so the choice mostly comes down to whether you value the added features. Perhaps the best comparison for the D5500 is to the Canon Rebel T7i, which shoots better video but is not quite as good for stills. It’s worth noting that the Nikon 5600 was released in spring of 2017, which includes the addition of SnapBridge technology. However, SnapBridge hasn’t exactly gotten rave reviews in terms of functionality and user experience (make sure to have the latest firmware installed). This feature alone doesn’t merit the extra $100 in our book, and therefore we are sticking with the tried-and-true D5500. 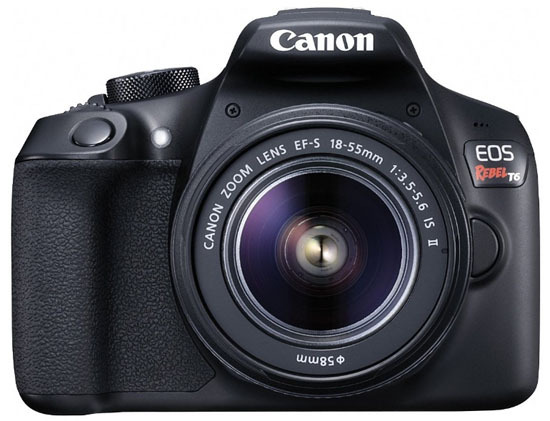 What we like: A super low price for a Canon DSLR. What we don’t: Basic autofocus and fewer megapixels than the competition. Similar to the Nikon D3300 above, the Canon T6 is a budget-oriented DSLR that forgoes many of the bells and whistles of its pricier “i” series siblings. For example, the rear LCD screen doesn’t have touch functionality, nor does it swivel. The camera has a relatively slow burst rate at only 3 frames per second (the T7i shoots twice that fast at 6 frames per second), and the autofocus is basic with only 1 cross-type focus point. 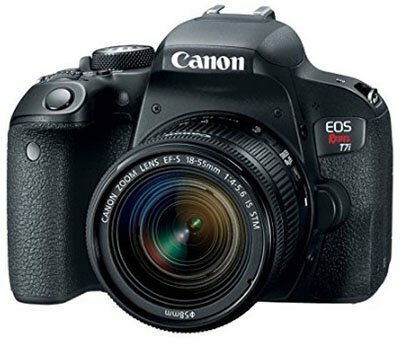 But we love the price, which at around $450 with a kit lens is the lowest of any new Canon DSLR. Who should buy the Canon Rebel T6? It’s a viable budget option for those who plan on shooting mostly still photography. Many of the features of the Rebel T7i and T6i including the tilting LCD and STM kit lenses are designed with video in mind, and therefore aren’t huge sacrifices for those capturing stills. However, we don’t love the megapixel count at 18, which makes the Nikon D3300 above a more attractive option in this price range (and it’s $50 cheaper, actually). What we like: Weather sealing on an entry-level DSLR. What we don’t: Heavy and autofocus could be improved. 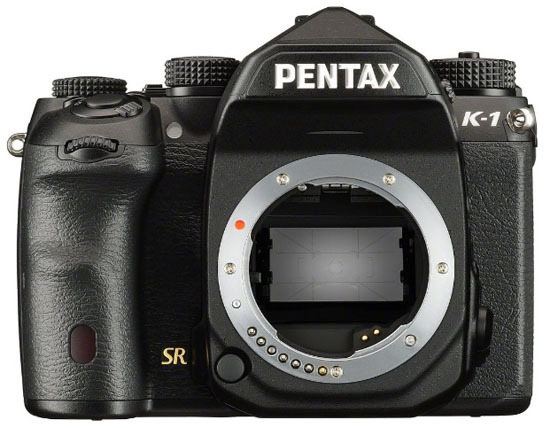 If you don’t have allegiance to Canon or Nikon, give the K-S2 from Pentax a serious look. The price of this camera is entry level—under $700 with two kit lenses—but many of its features are decidedly mid-range. For example, the camera has weather sealing, which is Pentax’s signature feature and one that you’ll spend up for considerably from other brands. And the camera also has a flip-out LCD screen and built-in Wi-Fi connectivity. All in all, the K-S2 is a surprisingly well-rounded and fun DSLR offering. 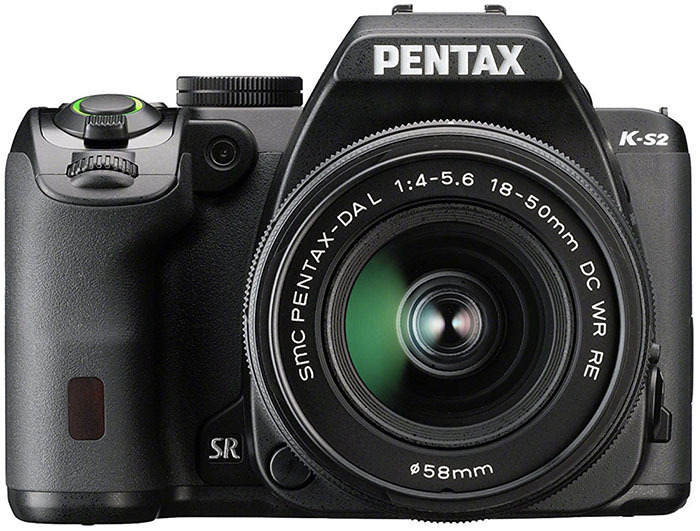 What are the shortcomings of the Pentax K-S2? The autofocus is relatively simplistic with only 9 cross-type focus points. More, the camera body weighs a hefty 21.8 ounces, much of which is due to the weather sealing (this process involves adding extra rubber around the joints and buttons to block dust and moisture from entering). Finally, the latest models in the Nikon D3000 series (D3400) and Canon Rebel series (T7i) offer more resolution in terms of megapixels, but not by a ton. For those who don’t want both kit lenses, the K-S2 is offered with just the 18-50mm for about $100 less. What we like: Impressive autofocus and shooting speed for an entry-level DSLR. What we don’t: Build quality could be better. Sony is best known for its mirrorless cameras and premium point-and-shoots, but its current DSLR offerings are nothing to scoff at. Case in point: the Sony Alpha a68 is very competitive at the entry-level end of the DSLR spectrum. This camera features an advanced autofocus system that performs extremely well for action photography, along with built-in image stabilization to help offset camera shake. Along with a 24.2-megapixel APS-C sensor, the Alpha a68 is an intriguing competitor to popular DSLRs like the Nikon D5500 and Canon Rebel T6i. Two notable shortcomings of the a68 are its mostly plastic build and lack of lens options. Durability isn’t a strong point of entry-level DSLRs in general, and the a68 is no exception despite the rather hefty 24.6-ounce weight (the D5500 and T6i are considerably lighter). And unlike stalwarts Canon and Nikon, Sony doesn’t have nearly the same depth or quality of lens offerings for its DSLRs. But for those who value shooting speed and accuracy but don’t want to spend up for a semi-pro model, the Sony a68 is a nice option. There are a wide range of DSLRs on the market, and you can spend anywhere from $300 for an entry-level model up to $3,000 or more for full frame. For the purposes of this article, we use the three categories below. The vast majority of professional photographers use full-frame cameras, which have by far the largest image sensors at 36 x 24mm. These cameras are the most expensive and the bulkiest but the image and video quality truly is outstanding. Those without significant photography experience should not necessarily feel intimidated by full-frame cameras—auto settings allow for easy operation, although many learn to use the manual functionality down the road. In 2018, you can expect to spend at least $1,500 and up for a new full-frame DSLR (the Nikon D750 is the cheapest on this list). Crop sensor cameras (also called APS-C) are the most common type of DSLR. The image sensors are roughly 24 x 16mm (Nikon and Canon’s sensor dimensions vary slightly), and the cameras have a smaller field of view than full frame. Both mid-range and entry-level DSLRs have crop sensors, but the former are loaded with advanced features like fast shooting speeds, high-end autofocus systems, dual memory card slots, and just about every other bell and whistle you can think of. 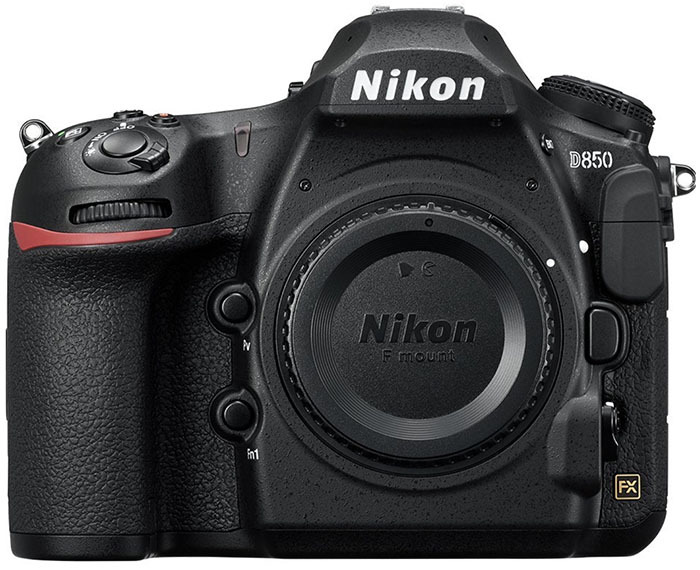 Enthusiast DSLRs can run as high as $1,800 for a model like Nikon's feature-packed D500. 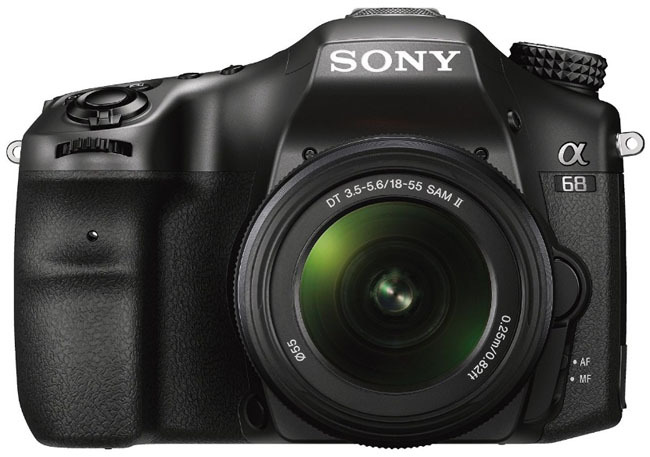 The best-selling DSLRs are found at the entry level end of the market. Models include Canon extremely popular Rebel series (the latest model is the EOS Rebel T7i), and Nikon's D5000 and D3000 series. The image sensors and megapixels in the entry-level class are similar to the enthusiast category but these cameras offer fewer advanced features (as the price gets lower features get stripped away). The good news is that you still get great image quality for the price and these DSLRs perform better and are less expensive than ever. Entry-level DSLRs generally cost between $400 and $850 with a kit lens included. Full frame DSLRs: 36 x 24mm = 866 sq. mm (or slightly smaller). 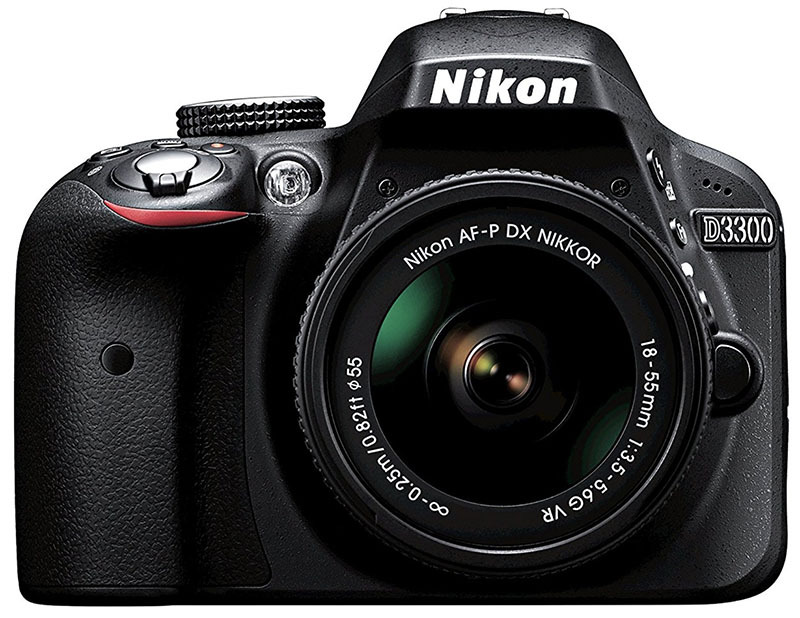 Crop sensor DSLRs: (Nikon “DX” or Canon APS-C”): 24 x 16mm = 366 sq. mm (or slightly smaller in the case of Canon). Full-frame DSLRs have the largest sensors at roughly 36 x 24mm. Crop sensors are by far the most common, measuring approximately 23.5 x 15.6mm for Nikon’s DX cameras and 22.3 x 14.9mm for Canon’s APS-C. The good news is that large sensors are a big reason that many people choose DSLRs in the first place, and even a crop sensor camera is capable of producing professional-grade images that can be enlarged and hung on your wall. Professionals feel the extra cost of full frame is worth it, but most amateurs stick with crop sensor models. Megapixels matter, but not as much as marketers would lead you to believe. It’s the combination of megapixels and sensor size that determine image resolution. 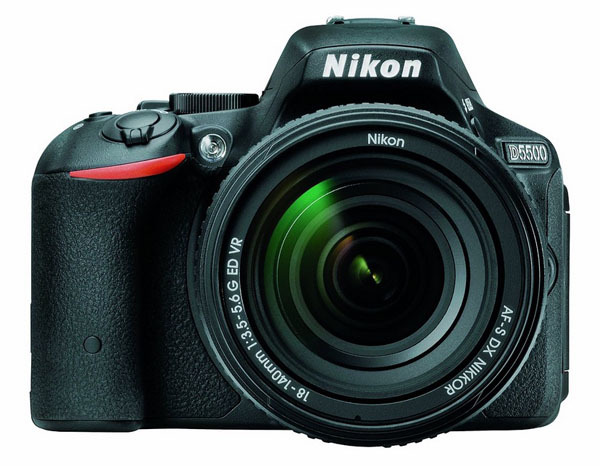 Many newer entry-level and mid-range DSLRs offer megapixels counts around 24, including popular models like the Nikon D5500, D3400, and Canon T7i. Canon made a jump from the T5i (18 megapixels) to the T6i (24.2 megapixels) to finally catch up with Nikon in that department. The truth is that megapixels should merely be one factor of many when making a camera buying decision. It’s worth noting when major jumps were made: the Canon T5i to the T6i, for example, or the D3100 to the D3200. But most crop sensor DSLRs are comparable in megapixels and the small differences won’t make or break the quality of your photos. At the top end of the DSLR spectrum, there is more megapixel variation. A big battle is between the full-frame Nikon D850 (45.7 megapixels) and the Canon 5D Mark IV (30.2), which represents a notable difference if you plan on enlarging photos for professional purposes. 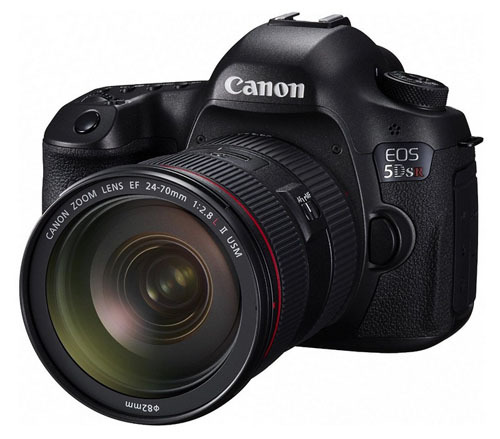 And last year, Canon released the 5DS R, which boasts an incredible 50.6 megapixels. Those spreads matter much more than at the APS-C level. With specs like megapixels and image sensor getting most of the attention, don’t overlook the importance of autofocus. Many cheaper digital SLRs cut costs with inferior autofocus, including the number of focus points and type (phase detection and contrast detection). An extraordinarily inexpensive DSLR like the Canon Rebel T6 ($399) has merely 1 cross-type focus point, while the Canon EOS 7D Mark II has a whopping 65 cross-type focus points. That’s a staggering difference between two APS-C cameras from the same brand. Unfortunately, there aren’t hard-and-fast rules as to what constitutes great autofocus, but you can start with the number and type of focus points. Multiple focus points help improve accuracy, so the more the better. Contrast Detection is slower than Phase Detection, and cross-type sensors are more accurate than vertical line sensors. Understanding the full complexities of autofocus is worthy of a full article in itself, but generally you can expect the quality of the autofocus to correlate with the price of the camera. If a DSLR is an outlier to this rule, we will let you know in the write-ups above. Video is all the rage in 2018. In terms of video resolution, 1080p is the standard with some high-end DSLRs like the Nikon D500 now offering 4K. Generally, cheap DSLRs shoot inferior video compared to mid-range and high-end models. Factors to consider include the quality of the autofocus, size and type of the image sensor, video speeds that the camera offers, and lenses that you intend to use. The audio capabilities of DSLRs also vary significantly as do the outputs. Over the years, Canon DSLRs have been known for producing the best video. Nikon bridged the gap recently but the distinction remains. For example, the entry-level Canon Rebel series is best in class in terms of video quality, and Canon has geared its kit lenses accordingly by adding STM (Stepping Motor) technology for smooth and silent video focusing. In the enthusiast DSLR category, the Nikon D500 and Canon 7D Mark II shoot by far the best video with autofocus and speed that can challenge many full-frame cameras. At the top end of the full-frame market, we are now seeing some divergence between video and still design. 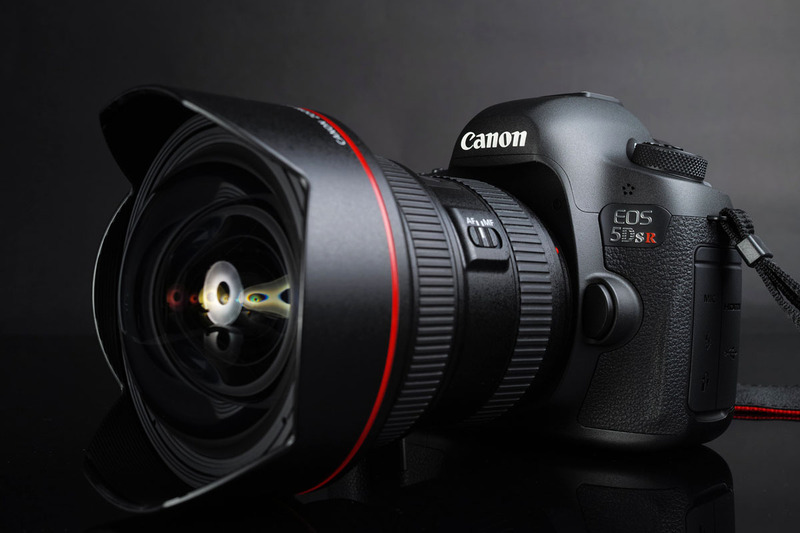 The new 50.6-megapixel Canon 5DS R does not include video-centric features like headphone sockets or an HDMI output. We understand the rationale: many dedicated videographers have cameras specifically for that purpose. It’s a good idea to have separate models with higher resolution sensors like the 5DS R that aren’t as good for video. It seems like every DSLR update includes a higher resolution LCD screen with more features. That’s a good thing, and we particularly like touchscreen functionality that allows you to navigate the camera’s settings with more than a simple thumb toggle. Some LCD screens tilt and articulate, meaning that they are moveable depending on the angle of your shot (this is really handy for video shooters). A tilting or articulating LCD screen does add weight to the camera, which is something to keep in mind. And many pro full-frame DSLR do not have tilting or articulating screens—this feature is most popular on consumer models for people use for hand-held videos. Built-in Wi-Fi is a nice perk available on most new DSLRs, allowing you to transfer and upload photos and video to your device or social media platform directly from the camera (some even offer light in-camera editing). The software and Wi-Fi platforms vary, and some are easier to use and less buggy than others, but we like the option of using Wi-Fi. One thing to keep in mind: using Wi-Fi to transfer photos all of the time can eventually take a toll on your camera’s processor. Don’t be afraid to use Wi-Fi, but if you have a cord handy and it’s convenient to transfer photos in that manner, doing so may help prolong the life of your camera. Some enthusiast and full-frame DSLR cameras are weather sealed for added protection from the elements (you can see our full list of weather-sealed DSLRs here). Weather sealing varies by model and there aren’t universal standards, but the process involves adding rubber sealing and housing on the body and around the buttons to make the camera more resistant to moisture and dust (both can be an absolute killer to your electronics). Calling these cameras weatherproof or waterproof would be an exaggeration, but they can handle tough conditions well and are popular among those who frequently are out in the field shooting in inclement weather. When choosing a digital SLR camera, you’re also choosing a family of lenses that may stay with you for an extended period of time. If you buy a Nikon or Canon DSLR and start acquiring specialty lenses, you may want to upgrade your camera every few years, but with proper care the lenses should last for decades. Just as Canon cameras offer superior video, Nikon glass is preferred by a small majority of professional photographers that we know. However, both brands have extensive collections of crop and full-frame lenses, including a wide range of zooms and primes. You can’t go wrong with either brand, but keep in mind that there are transaction costs associated with selling lenses and buying new ones. Many people start with one brand and stay with it for convenience and cost effectiveness. Some people are intimidated by the prospect of using a DSLR and instead stick with their point-and-shoot camera or smartphone. These worries are unfounded: DSLRs across the spectrum from entry level to full frame have automatic shooting modes that do almost all of the work for you. It’s also true that they have advanced and manual features that really can make your photography shine. Our advice is to read the manual when you first buy a DSLR and watch the short introductory videos on its functionality. Before taking a big trip where you really want great photographs, head out for a test shoot to experiment and look at your results. You can always shoot with auto mode in a pinch, but it’s nice to have some fluency with things like shutter speed, ISO, and lens aperture. The process takes time, but with all of the available settings on today’s models, there is no reason to avoid taking the DSLR plunge. For a full list of beginner options, see our article on the best entry-level DSLRs. It’s true that Canon and Nikon dominate this list. This is not the case in other camera categories (see our article on the best mirrorless cameras, for example), but Canon and Nikon flat out make the best DSLRs and have by far the largest collection of lenses. Both have been doing so for many decades and cameras from other manufacturers did not crack this list in any of our categories: full frame, semi-pro, or entry level. If you are interested in looking elsewhere, Sony has an interesting collection of digital SLRs, including the full-frame Sony a99 and new crop sensor a68. Pentax makes a number of DSLRs that are known for their excellent weather sealing, but you’re dealing with a pretty limited collection of lenses. At the end of the day, both from a price and quality perspective, we think Canon and Nikon DSLRs make the most sense. What About Mirrorless Interchangeable-Lens Cameras? This is a question that just about every photographer must ask in 2018, and it’s getting tougher to answer with impressive mirrorless releases like the new Sony Alpha a6500. There is no doubt that mirrorless cameras have made inroads on the DSLR market—they forego the bulky internal mirror system for an all-digital design that is more compact. The lens options still are more limited than DSLRs but are expanding, and Sony has released a very attractive line of full-frame mirrorless cameras, including the powerhouse a7R III. DSLRs have the most extensive selection of lenses and decades of experience to back it up. Mirrorless cameras are more compact but the cost savings is debatable, particularly when you add in lenses (all things considered, they could be more expensive than DSLRs). For personal and business use, we use both types of cameras. If you’re a top landscape professional looking to shave ounces, Sony’s a7 series is a great option. For most people, and particularly those on a budget, DSLRs still are an excellent choice.